Protagonist or prominent character whose profession is expert killing. The right type of tragic backstory. Improved technicals compared to series. Missing a poetic detail from the manga. Tomoe doesn’t have enough of her own story. I made my disappointment for Rurouni Kenshin clear in my review, finding the ‘neutered for children’ approach to be a ruination of the good manga. The series also removed the best part of Kenshin’s tale, his backstory. Samurai X: Trust and Betrayal is that backstory told over four episodes. In the lead up to the Japanese revolution, a swordsmaster rescues a slave child from bandits. That child is Kenshin, who, after training under the swordsmaster, would play a pivotal role in the Meiji restoration of Japan. Trust and Betrayal details Kenshin’s bloody legacy and the price it exacts from his soul. One night, he meets Tomoe, a mysterious woman who sees beyond his assassin’s visage. However, his actions have already set in motion a fate that cannot be avoided without a price. Rurouni Kenshin failed in large part for forgetting who Kenshin was, what atrocities he committed, in the series’ efforts to protect the children. Trust and Betrayal remedies that error by delving deep into Kenshin’s character. It doesn’t hide why he kills as many people as he does; it doesn’t pretend that his actions are pleasant; it doesn’t pretend that he can merely walk away unscathed from it all. An honesty of character is never a bad thing. Maiden of the Blood Lilly. Trust and Betrayal does falter in two parts. First, Tomoe doesn’t have enough time for her own story. Not knowing her importance, one would assume that she is a minor character based on her screen time. Where Kenshin is dissected to his core, Tomoe is left unexplored. I understand she is supposed to be mysterious, but even after the conclusion, too little comes to light. Second flaw: they removed a minor detail from the finale that who have compounded the finale’s impact. Rurouni Kenshin the manga was a seemingly light-hearted samurai story that hid darkness within. The anime was all that darkness removed; Trust and betrayal is the darkest point realised. I wish for a full Rurouni Kenshin adaptation in this style. It’s okay; nothing that can’t be fixed. The mature style suits the narrative better than the childish version from the series ever could. The art reminds me of classical Japanese still-life paints, like the one of the cranes in Kenshin’s house. Good cinematography and animation. Could do without the epilepsy flashing for action, which was all the rage in that era. Though the cast is the same in Japanese (where common in characters), the acting is much better – not having Kenshin sound like he’s gargling bubble bath helps. The English, too, is better, void of the irritating mannerisms. Music has more impact. The legend of an assassin who would kill hundreds and the consequences of his actions. Kenshin the Manslayer’s origin story. A tragic story soaked in blood. Great, but could have gone deeper. Recommendation: Even if you have no desire to watch the main series, Samurai X: Trust and Betrayal is worth your time. If only Rurouni Kenshin had this level of quality. Top tier acting for the well-characterised dialogue. The action focused final third could not live up to the preceding drama. After the murder of their friends by a rival gang, street punks Brandon and Harry join the largest crime syndicate, Millennion. Brandon seeks to get closer to Maria, the Godfather’s ward, while Harry wishes to make something of himself. Brandon is quiet, disciplined – the muscle – and loyal to a fault. He barely talks, but he projects tons of character in his manner, in the tone of his expression. Harry, on the other hand, is a leader, too charismatic for his own good, a smooth talker of great ambition and intellect. 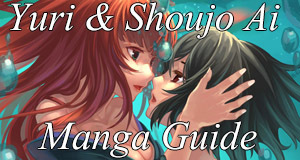 Gungrave is the story of how these two friends climb the mafia ranks, putting character, morals, and love on the line. Gungrave’s roots in gangster films are obvious – the notion of ‘loyalty to the family’ is a recurring theme throughout. It is a blend of Scarface and The Godfather with a touch of science fiction (only anime would take such down-to-earth films and add the fantastical). Brandon and Harry, supported by a larger cast, are the heart of Gungrave. Their character arcs are something to be studied at length for how well and believably the characters evolve by the end. It’s rare to see a story that doesn’t treat friendship as an all-binding law. I enjoy a ‘power of friendship’ story as much as the next viewer, but it’s always a pleasure to see a story that questions if friendship really is all-powerful. And Gungrave manages to convey all of this without resorting to long conversations. Most stories can only manage such depth by sitting the characters down for long dialogues to explain their motives, which is rather dull, even if insightful. Brandon’s restriction as a silent character forced the writers to express thought without word – that look in his eye, that moment’s hesitation. Gungrave conveys development through actions, choices and consequences, never resorting to extended conversations where characters tell us where they stand. Fly fishing with the Godfather. Brandon, not the best phone support employee. Despite the serious gangster story and unfettered violence, there are moments of well-timed humour to give the audience time to breathe. If you have seen the famous gangster films, you will know that despite the many guns, action occupies only a small amount of screen time. Guns in mafia films aren’t about delivering action, but as tools to convey character emotions. Gungrave is no different. The syndicate isn’t about killing. It’s about control and family, understating how humans work and what makes them comfortable, makes them unwilling to defy you, or better yet, work for you. The action, when present, is excellent and doesn’t drag for episodes on end. That said, when the action does dominate the final third (also like most gangster films), it isn’t as good as preceding episodes. An unfortunate side effect of having such powerful drama come first – a real first-world [story] problem. 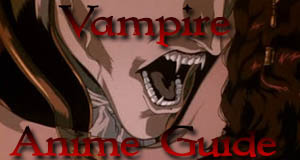 Gungrave still keeps me glued to the screen after several viewings for its subtlety in character and is my favourite anime. Can you believe this is based on a video game? It’s amazing that a simple action game spawned such an excellent series. If only movies could manage such adaptation quality. Gungrave looks great for a pre-HD anime with a Trigun and Cowboy Bebop-esque art style. The action looks fantastic and cinematography works overtime to amplify characters’ emotion. The cast couldn’t be better for Gungrave’s Japanese track. Even with the European-dominated naming (some Engrish), I recommend sticking with Japanese. Tomokazu Seki, once again, delivers the perfect quiet character. The music consists mostly of slow jazz and solo violin. I like the lyric-less OP. A mafia story of power, greed, family and loyalty. Characters and development of excellent depth. Recommendation: A must watch. Gungrave is an exemplar is subtle characterisation and uncensored human nature. Remember to start at episode one or two depending on your preferred story type. Johan, one of the greatest villains in fiction. Every character has nuance and depth beyond the scope. Many threads woven together to create a tense, unforgettable story. Art that evolves as the characters grow over time. Psychological atmosphere brought to life with tense music. An opening sequence that other anime could learn much from. Some unnecessary flashbacks to scenes we just watched last episode. A few episodes muddle the storytelling coherence, but it is clarified later. Monster is a sombre, twisted look into the life of one man and the events that unfold under his influence. It takes us down into the seedy underbelly of a post-Berlin Wall 1990s Germany, where the country is shaken by the rise of a serial killer. Our tale starts with Doctor Tenma, a genius neurosurgeon in Düsseldorf. He has it all: the rich fiancée, Eva, the prestige, and the skill. One night, a little boy comes into the emergency room, gunshot to the head, and only Tenma’s ability can save him. Nine years later, a string of murders occurs and sweeps Tenma up into the brutality. The killer is that very same boy from all those years ago, and the murders are the mere tip of his machinations. What would you do if you had saved the life of the next Hitler? Tenma feels a personal responsibility, especially with how much attention Johan favours him with, a truly messed up connection akin to Dumbledore and Voldemort. To worsen matters, Detective Lunge is on the case and his primary suspect is Tenma, for he has gained much since the murders. Lunge is a bloodhound, hell-bent on solving the case, even at the cost of all personal feelings and livelihood – a darker Sherlock Holmes. He’s the creepy guy you want in charge of your case, but wouldn’t invite over for dinner. I like his strange quirk where he types with his fingers in the air to archive every detail to memory. The opening sequence sets the tone for Monster without a single word or lyric. Tenma keeps looking over his shoulder at distant, ethereal voices, yet there is never anything around once he looks. He is stalked and alone on his quest for the elusive killer. The true star of Monster is the villain, Johan, a Hannibal Lecter type. He reveals himself to us early, but for much of the narrative, he remains in the shadows, controlling the events with unparalleled skill. Importantly, his ability to manipulate countless others and their organisations is believable, most prominently when we see him play his game in person. The way Johan manages to understand people, get inside their heads is brilliant, twisted, but brilliant – only one with such little emotion and empathy would be willing to go as far as he does. Whenever Johan is in a scene, it reminds me of Game of Thrones’ Geoffrey; he creates a tension unlike any other, as if he could kill at any moment. Unlike Geoffrey, however, who is a petulant child with the bigger stick, Johan has the subtlety, the patience of a master. He is bred for perfection in appearance and intelligence, and makes full use of that fact. Monster introduces new characters and plot threads every few episodes. First, it is murder, then serial murder, then the mafia, and just when you think they couldn’t possibly add more, Nazi topics – the perfect race, Hitler’s rise to power, etc. – enter the fold. What it means to kill. Eugenics. Child psychology. More and more, seemingly endless wealth of themes weave into the plot. You must, must dedicate your attention to Monster or you may find yourself lost in its intricate plotting. If you do pay attention, Monster will reward you with nuance and maturity in the characters and themes at a level far beyond the norm. You will hate this man. Monster sports a more realistic art style than most anime. In fact, one could be forgiven for assuming it is not anime due to its highly detailed depiction of 1990s Germany. The face art may be off-putting at first (those irises are really small), but I grew accustomed within a few episodes. Most impressive, to me, is how well the art conveys the characters’ emotions and personalities. Pay particular attention to Eva and Tenma – he looks like a changed man by the end. Excellent acting is either language, yet the English takes the crown, as the foreign languages (German, Czech, etc.) sound better from the English actors; however, Johan makes the English a must – bone-chilling performance. Great music and ambient sounds like the stalking Predator bring heights of tension and drama – again, some truly creepy songs. My only auditory gripe is with the lack of German accents for many characters, not even a slight one, though they do at least incorporate German mannerisms into dialogue. Monster is a once in a decade anime. The writers masterfully wove so many character threads together, filled with a ruthless, human logic that few creators bother to incorporate into their stories. Every character is human, a part of them broken by the hardships of life. Johan is a villain I will never forget. Recommendation: I cannot emphasise how much you must watch Monster. That said, I would wait until you have developed a liking for lengthy dramas, or you may miss much of the subtlety that makes Monster unforgettable, as I had in my youth. Remember to pay attention at all times.